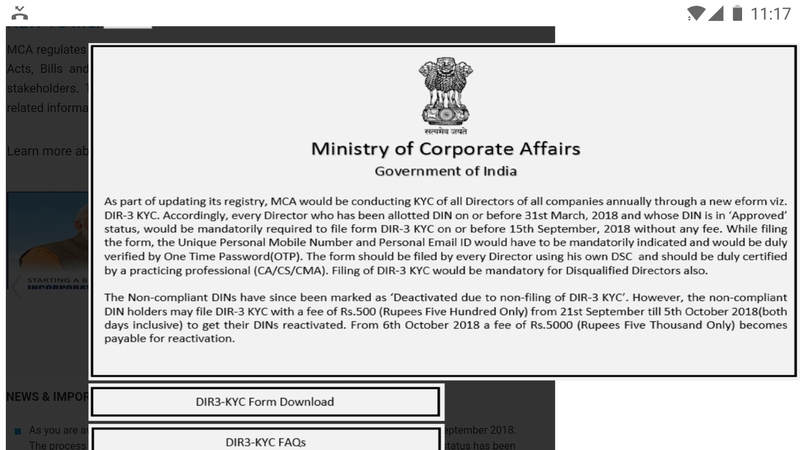 Deadline to re-activate Directors DIN after filling DIR-3 KYC with reduced Fees Of Rs. 500/- has been granted till 05-10-2018. From 6th October, 2018, the Fees will be Rs. 5000/- for filling DIR-3 KYC and reactivating the Director DIN.